Diary of a Ledger: No Yahtzee. Massive Night. As I type Liverpool are about to kick off against Lyon in the Champions League and we simply have to win to keep our season alive. We have had a terrible start to the season and although injuries have played there part there is no hiding behind the fact that the whole team has failed to perform far too often. A week and a half ago we outplayed Manchester United at Anfield, thoroughly deserving our 2-0 win, but then we lost to Arsenal in the League Cup and Fulham beat us 3-1 at the weekend. In the Champions League we have won one match and lost the other two. Incredibly poor. Questions are of course being asked of Benitez and although some of the decisions that he's made have been odd during matches, you can't help but feel that until the club gets new owners we won't move forward properly. Lyon are a good side but it would be just like Liverpool to turn up tonight and get a result but that would just paper over the cracks. Something needs to change and fast, as we quickly seem to be descending into the realms of Graeme Souness's early 1990's reign at the club when nothing ever seemed to go right. 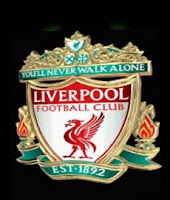 There's the nucleolus of a good side at Liverpool but tonight I do fear that we could be looking at my beloved club having their season ended in November and I suspect that our manager may well pay for that with his job. Maybe deservedly so, maybe not. People in more senior positions than him need to look long and hard at themselves and question why they agreed to the sale of Alonso and let an influential figure at the heart of the club like Rick Parry leave under such unpleasant circumstances. FYI. Tonight's usual video from Yahtzee is not here because instead of a game review he posted a video diary of himself in Washington which was neither funny or entertaining. Just saying. If you still wanna watch it go here. It is crap though.